The Sky Prayer Series represents many wishes, hopes, prayers, and dreams rising collectively to fill the sky. 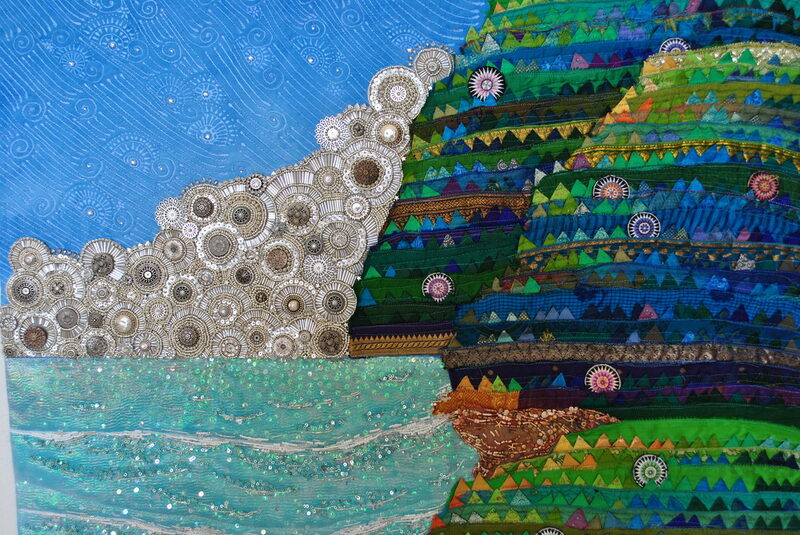 This piece shows a hidden beach among the shoreline cliffs. It is constructed of many folded prairie points of cotton, silk, and rayon fabric assembled onto recycled silk sari ribbon and trim. It is hand beaded using buttons, beads, sequins, crystals, and carved bone.